If you’re travelling in or through France using your own or a hired vehicle, you should take steps to ensure that you refill the vehicle whenever you can, in order to avoid breaking down. In particular, we’d encourage you to make sure you leave the UK with a full tank of fuel. Most travel policy doesn’t cover the breakdown of your vehicle driving to your accommodation or during your trip. Although your breakdown cover may be able to assist. However, in the event that you miss pre-booked transport arrangements due to the breakdown of the vehicle in which you’re travelling, your policy covers additional travel and accommodation costs necessary to reach your destination abroad or your home on the return journey. There is no cover for recovery or refuelling of the vehicle itself so again it is important to have adequate motor breakdown cover to include Europe. If you wish to cancel or amend your travel plans you should speak to your travel provider in the first instance. Travel insurance policies don’t usually cover cancellation of a trip or coming home early in these circumstances. However, as the situation in France is uncertain, Travelinsured recognises the difficulties that travellers to France are faced with. We’ve managed to reach agreement with some of our travel insurers that If you’re unable to recover your holiday costs they’ll cover the cost of cancelling your trip or coming home early up to the limits as set out in your policy documentation. Regrettably this does not apply to all insurers with whom we deal and thus it is important you speak to us first. 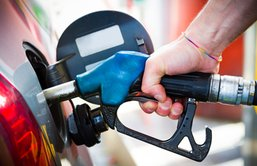 You may wish to consider downloading an app via http://penurie.mon-essence.fr/w/, which shows petrol stations that have fuel stocks. *Note we are not responsible for the content of this external website.